It's your theatre, be a part of it! to Orihuela for 15 years! Our final public show on the 2018-2019 season is a revival of one of our most powerful dramas. 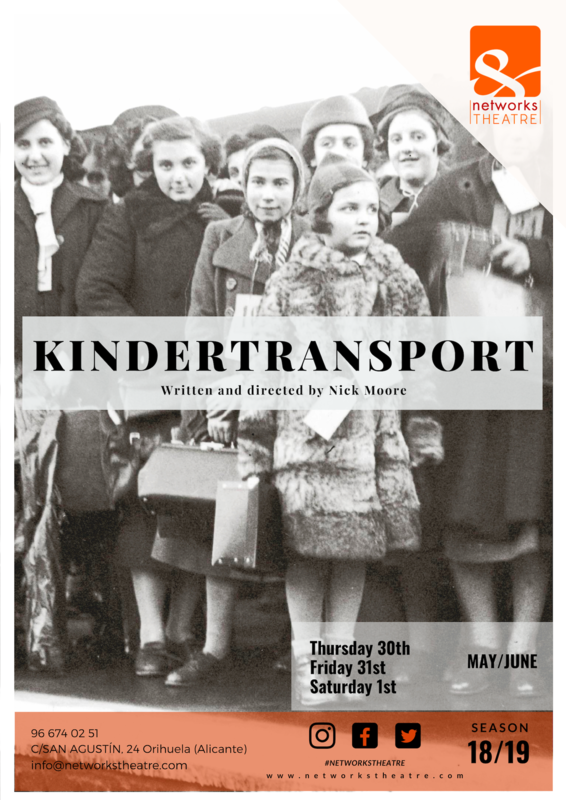 Welcome to Kindertransport: The Children’s Train. This musical drama, last seen in 2011, moves its audience directly back to 1930s Europe, where, as the Nazi threat grew, groups of Jewish German, Polish and Czechoslovakian children, amongst others, were evacuated to safety. Many of these children were taken out by special trains that became known as the Kindertransport. The Bamboo Princess, adapted from a Japanese Folk tale is a firm favourite at Networks Theatre. First presented in 2001 and again in 2014 it’s based on a popular Japanese story. This comic musical tells the Legend of the Bamboo Princess Kaguya- Hime, who is found in a forest of bamboo trees. The Woodcutter and his wife who secretly take in this baby are blissfully unaware that she will one day return to the Moon to be with her other family. This traditional story has important lessons which can be drawn, such as the need to be honest, the importance of valuing people while they are still with us and accepting that nothing is forever. Nick Moore’s version transforms the story into a musical, with great songs and choreographies, fundamental for our young learners, while also being a joy for the parents to watch. At Networks Theatre we are very proud of this piece of work. It took us a long time to gather all the information and contact so many people to tell us their experiences in each show. A book, in short, that sets a milestone in our theatre company. You can buy it at any office of Networks English Studies priced at €12. If you can’t pop by and want to us to send you the book by ordinary mail all you have to do is pay via PayPal for the book plus postage and we will mail it to you. Read more to know about it! Nick Moore is the Artistic Director and principal writer for Networks Theatre. With Lee Alexander he founded the theatre back in 1999 with the aim of using theatre as a method to learn English. Since then they have grown from strength to strength, still preserving the original aim of education but expanding to become one of the region's most successful theatre companies. Nick has overseen a staggering 75 shows either as director, writer or actor and all of these with a wide range of styles and subjects. Dennis Carpenter studied at The University of the West of England, getting a Bachelor of Art Honours Degree in Fashion and Textile Design. He also worked in the Cotswolds and in London as a picture framer and furniture maker, specialising in gilding and painted finishes. He has been at Networks since 2001, where he has been teaching and working creatively in the theatre. Dennis designs and makes the costumes for each actor in every show, he also designs and painstakingly creates the sets and props that are required. So far he has been involved in every show, if not performing in the annual pantomime, then working backstage to make sure everything is ready and running smoothly for each show. Up to now his favourite character has to be playing one of the ugly sisters in Cinderella or the baddie such as king rat, the villain is always the most fun part in a show. As for his favourite show, well there have been lots, but Titanic, the pantomimes, The Two Princesses in Waiting and Robin Hood, to name a few. James Gregory was born in Kent, England and went to Kings School in Rochester, then he studied at the University of Westminster, graduating in 1993. He came to Madrid to teach English in 1995 and has been at Networks English Studies since 1999. He has worked on many Networks Theatre productions since 2001 as the Light & Sound Technician. His favourite show has been Odysseus because it combined a great soundtrack and script resulting in his first "Rock Concert" Show. He loves Networks Theatre because it challenges him technically and it involves working with an incredibly professional group of talented young people. Pedro was born in Orihuela and he started his journey in Networks Theatre back in 1999. 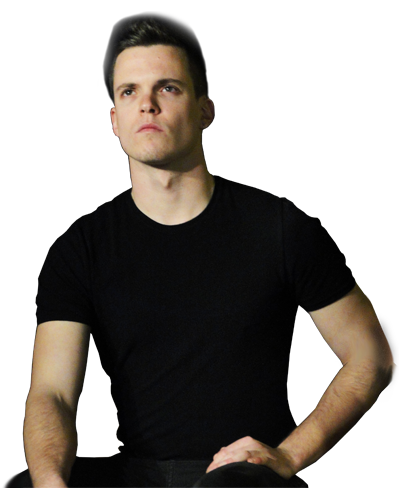 As a member of Networks Theatre’s first generation he has participated in over 13 productions such as: Robin Hood, Treasure Planet, The Prince and the Pauper, Simply Knowing You and Odysseus. He currently takes care of the Administration, Publicity and Multimedia departments. In 2014 he successfully directed and adapted a shortened version of Hamlet called “Killing Hamlet”. Recently he put on stage his play “Totem”, presented in October 2015. Jo is originally from Greece but has lived in the UK for many years. She studied Psychology and Education and started working as an English teacher in Spain in 2006. She loves music and theatre and has been involved in a number of shows at Networks Theatre with her favourite to date being "Behind the Wall" and "Cinderella." Her show "A Game of Love" won Show of the Year at the Networks Theatre Awards in 2013. Lee Alexander has been working in Spain as an English teacher for more than forty years. He has always been fascinated by the process of foreign-language acquisition, especially in children. In 1977 he set up a small English centre with his wife Cristina Guirao in Orihuela, Alicante using the most up-to-date methodology available at that time, and established a reputation for offering practical, interactive, communicative classes in English only. Convinced of the possibilities of language learning through drama activities, he built a small studio theatre on the premises with his colleague Ken O’Carroll and began experimenting with video-taped productions of sketches and one-act plays. In 1999 he met Nick Moore, a professional actor on tour, and together they founded Networks Theatre based on one firm belief: that it was possible, using only students and teachers from the academy, to produce high-quality musical plays in English. That belief required massive teamwork and talent from students and staff, but it soon became a reality. Over the past 15 years Networks Theatre has produced more than 75 spectacular shows, with hundreds of students participating. In 2012 Networks Theatre inaugurated its new venue, a custom-made, black-box theatre to showcase new productions. Lee enjoys the annual Christmas pantomime, and always looks forward to rehearsals for the children’s shows which he will watch over and over again. everything about the show was brilliant! Being part of a team, working together to create the best show possible. That’s the magic of putting on a show! Welcome to Networks Theatre where we’ve been presenting theatre in English since 1999. For 15 years we’ve brought pantomimes, comedies, musicals, poetry and plays to Orihuela. If you are discovering our work for the first time you’re in for a treat! If you’re already familiar with our shows, welcome back! Our season this year runs from October through to June and brings you 9 shows that illustrate the wide talent pool that we are tapping into from our local community. We look forward to welcoming you to the shows so come and make a night of it! Ya pueden descargar las fotos y el vídeo del show de la clase de NT5 realizado el martes 16. A través de este link ya podéis descargar las fotos y el vídeo del show realizado el martes 16 por la clase NT4. OVER SEVENTY FIVE SHOWS SINCE 1999! 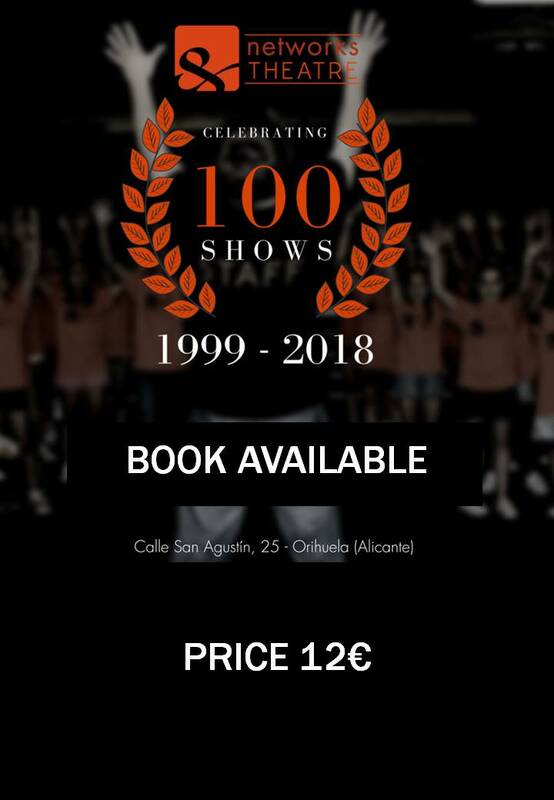 Networks Theatre is a permanent home for English-speaking theatre in Orihuela, now performing at our new venue, a purpose-built, blackbox theatre in San Agustin Street, opposite Colegio Jesus Maria. Since 1998 we have produced up to seven shows a year, all in the English language. Nearly all of the shows have been written and directed by theatre professional Nick Moore, with stage designs and costumes created by artist Dennis Carpenter. Our work ranges from an annual traditional pantomime, to musicals, comedies, dramas and Theatre in Education shows for children. Thanks for visiting the website! Take a look around!